sure, we are in the heat of summer but fall is just around the corner and Back To School shopping has begun. sales are hitting your favorite stores with reduced prices of trendy fall items. i recently discovered Splender, an online site that is free to join and gives you cash back on your purchases from up to 800 retailers. with the Nordstrom sale in full swing i visited the Splender site to do my sale purchases through the site which earned me cash back along with the great deals from the Nordstrom Sale. the site was super simple to use, no hunting for coupon codes or opening up multiple windows trying to find deals. all my shopping was there in one place and i knew i was getting a great sale plus a great reward. select a store at the Splender site. click a deal or offer you want and you'll be transferred to that store's website. complete your purchase on the store's website as you normally would. the store then pays Splender a commission for sending you there to shop and Splender shares that money with you in the form of cash back. for all you fashionistas who have perfected the art of online shopping, this is your jam. below are the items i purchased from the Nordstrom sale through Splender. 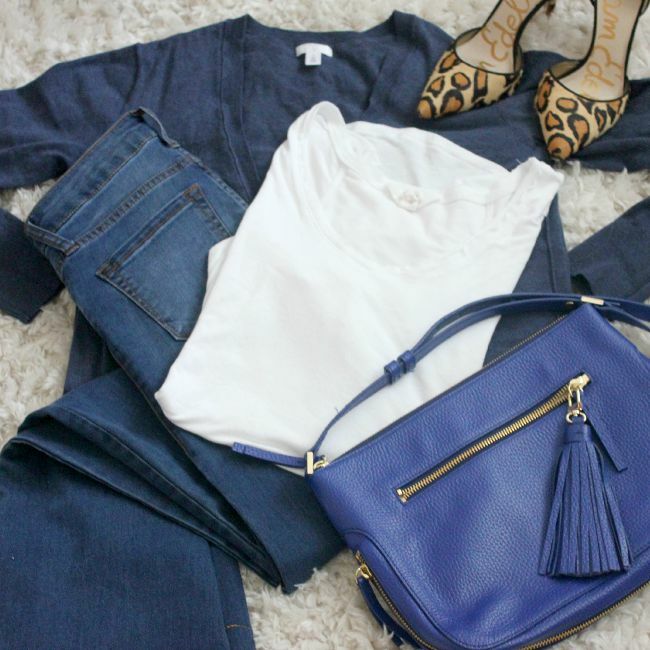 these items were carefully selected to transition my wardrobe from summer to fall. i picked up a long length cardi (tunic length is a must for fall), some animal print shoes, a tasseled handbag, some flare denim and a flowy white tee. the long length cardigan is perfect for warming up your summer sun dresses. paired with this white sun dress it adds a touch of warmth, the look of boho and keeps me in line with current trends. 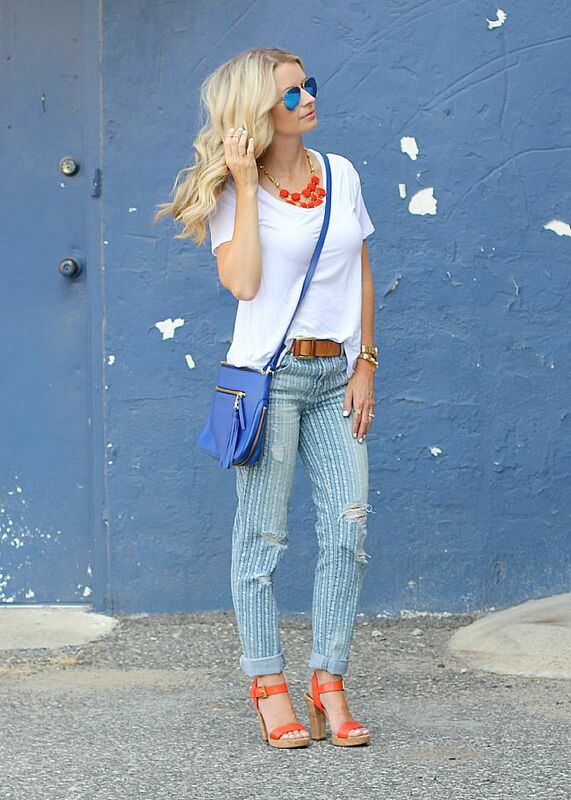 these flare jeans are a personal favorite for fall. i am so glad that the flare is back. i love skinny jeans but my comfort zone is in flare. pairing my flared denim with this long, tunic length top is a winning combination. the khaki top and animal print shoes go together like peanut butter and jelly. last is the perfect white tee and tasseled handbag. this white t-shirt is a winner with its hi-lo hem and flowy shape. plus, the jersey is thick enough that it is not sheer - a difficult thing to find in a white t-shirt! 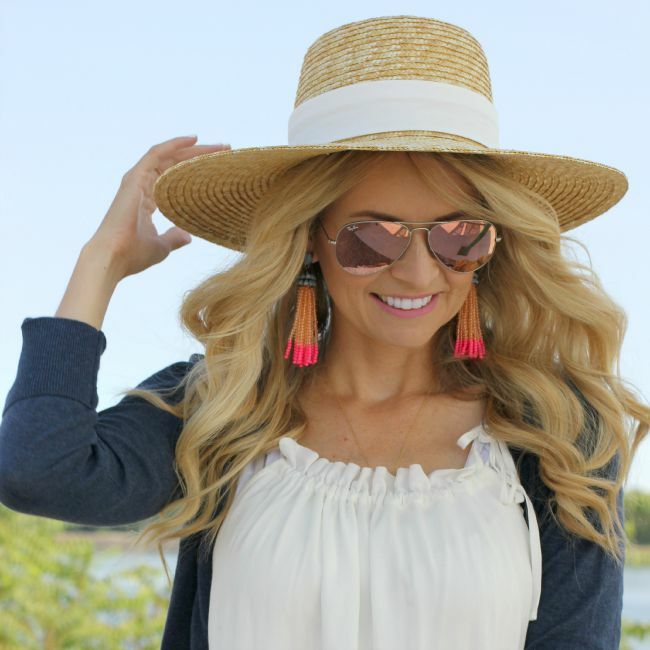 the tasseled handbag works great for summer to fall because it is a bright color but one that can easily be worn with summer brights or the rich colors of fall. let me know what trends you love to see for fall and don't forget to earn cash back on your purchases through #shopsplender.